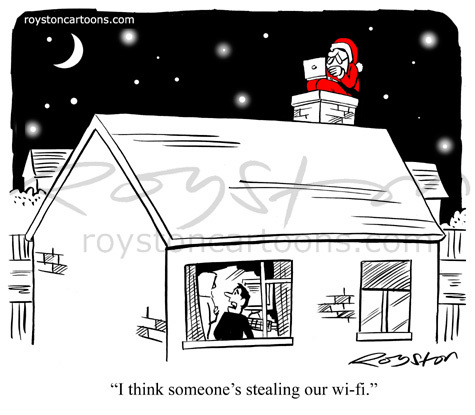 "I think someone's stealing our wi-fi." 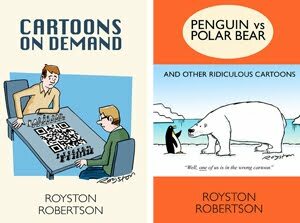 I hope you're all enjoying the advent calendar cartoons, and I can only apologise for the fact that each image does not come with a piece of funny-tasting chocolate in the shape of a robin. Today's is an unsold one from a couple of years ago.